Vasilisa is one of the best foundation cats ever in my opinion. 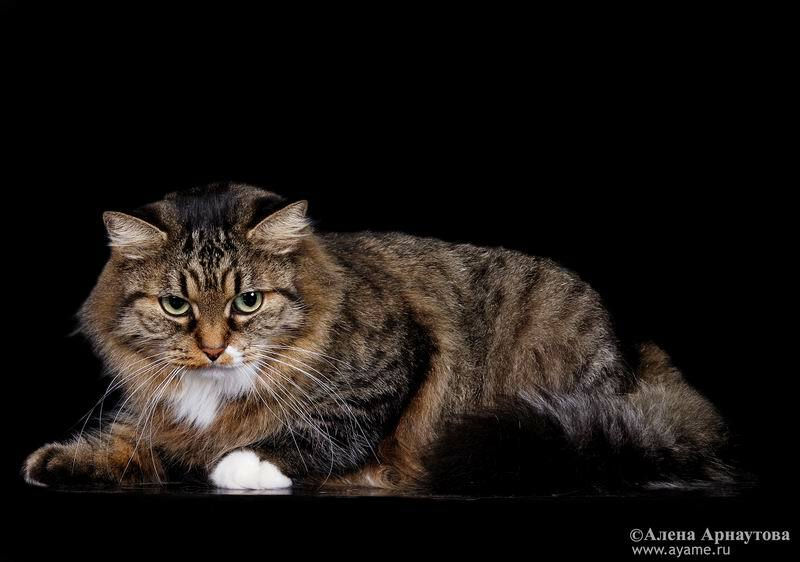 She had deep green eyes, excellent coat texture, strong muscular body and she was a very healthy cat who produced great kittens until 9 years old. 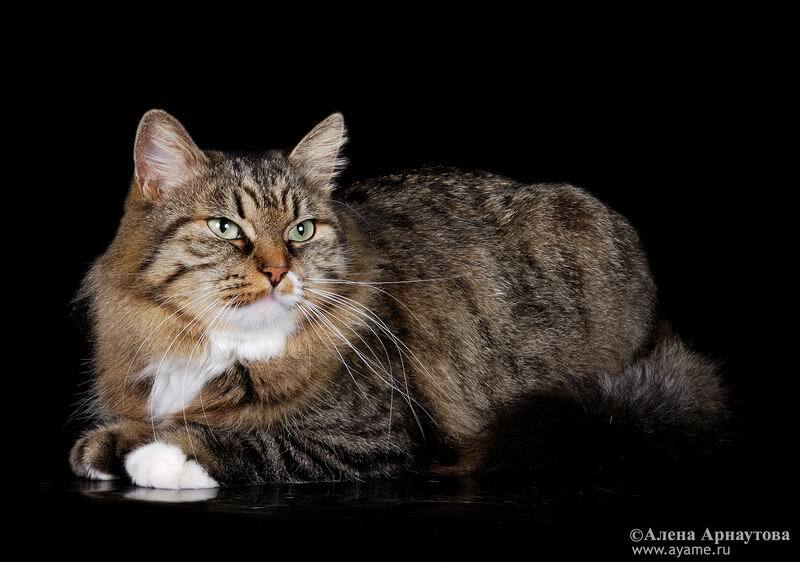 She had typical Siberian temperament and was very affectionate and sweet. Unfortunately most of her offspring has been mixed with nem but a few lines were spared and one daughter brought to France with the intent of (re) creating clean lines from Vasilisa. She was found by Natalya Komyak from Manchzhury cattery Voronehz while Natalya lived in Vladivostok. Natalya told me she had seen mice living on a plumbing box on her flat and she had also noticed that same week a beautiful 6/7 months old kitten, on her way back home from work, sitting around on the streets near her house. Fed up with the annoying, undesirable “visitors”, she told her husband to go and take that beautiful kitten because she did not want mice around. This is how Vasilisa entered Natalya’s life to make the hapyness of her family (and ours). Vasilisa died at 14 years old november 2016 from mammary cancer. Here are her show results and some photos.